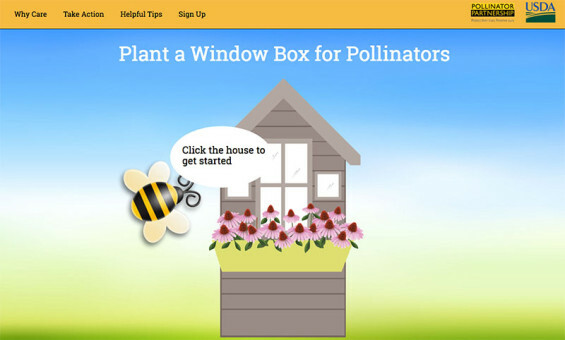 The United States Department of Agriculture (USDA) urged Americans of all ages to “Plant a Window Box for Pollinators” by using a new, free online tool available at the redesigned People’s Garden Initiative website. The new tool allows people to determine which plants will provide pollinator forage based on their zip code. Site visitors can then print out the list of plants to take to their local garden store and grown them in a window box. There is also a virtual window box game. Even a space as small as a window box can help pollinators by ensuring they don’t have to fly too far to find food. The interactive People’s Garden website also includes the popular live USDA “bee cam” which broadcasts honeybee activity on the roof of USDA’s headquarters building in Washington, D.C. The new People’s Garden website is just in time as Agriculture Secretary Tom Vilsack designated April as National Garden Month. “Gardens provide a positive setting for pollinators such as bats, bees, birds, butterflies, beetles, and other animals that contribute substantially to the U.S. economy and play a vital role in keeping fruits, nuts, and vegetables in our diets,” Vilsack said in the proclamation. In addition to the window box tool, the website features an interactive map of the more than 2,100 People’s Gardens planted since Vilsack launched the effort at the start of the Obama Administration. The new website shares People’s Garden success stories and numerous resources, from videos to checklists, on how-to create a garden that benefits the community and incorporates sustainable practices. “The website’s ‘Plant a Window Box for Pollinators‘ tool is a fun way for gardeners to select native plants for their gardens and, at the same time, help bees, butterflies and other pollinators flourish,” said Agricultural Marketing Service Administrator Elanor Starmer. The People’s Garden Initiative works with agencies and offices across USDA and with federal, state and local partners to start and sustain gardens with the mission of growing healthy food, people and communities. USDA’s Agricultural Marketing Service, Transportation and Marketing Program oversees the Initiative for the Department. 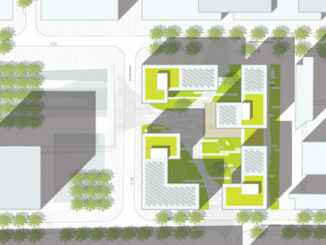 Will there be a shortage of landscape architects after the Crisis is over?